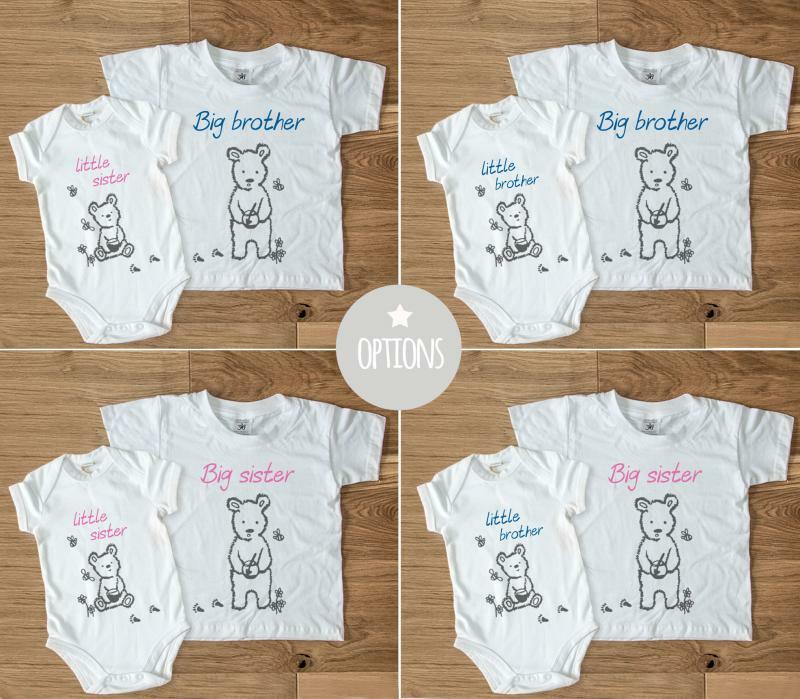 The most adorable gift set featuring a soft cotton t-shirt for a Big Brother or Sister, and a matching baby grow for their new Little Sister or Brother! 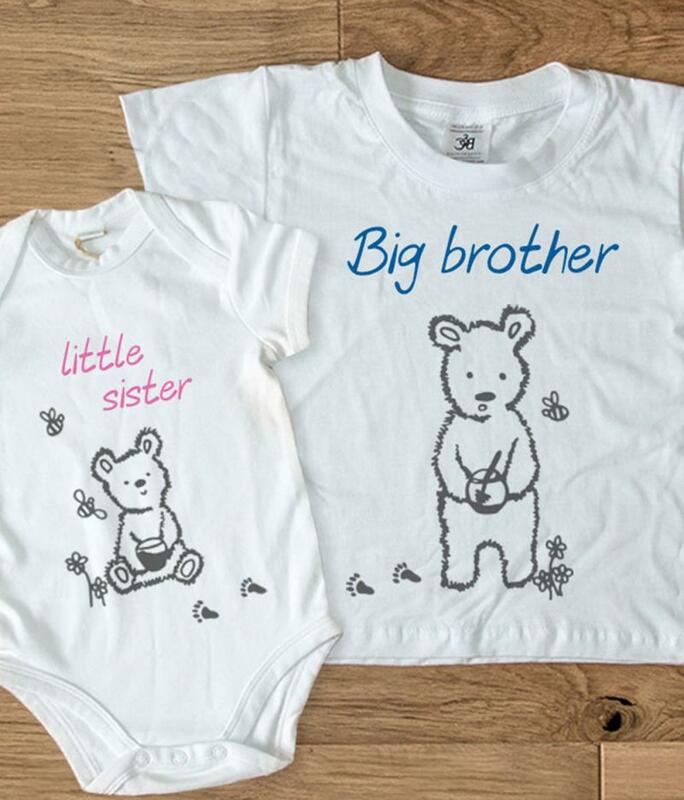 The garments tell a cute and charming story of baby bear helping him / herself to some of big brother's / sister's honey. 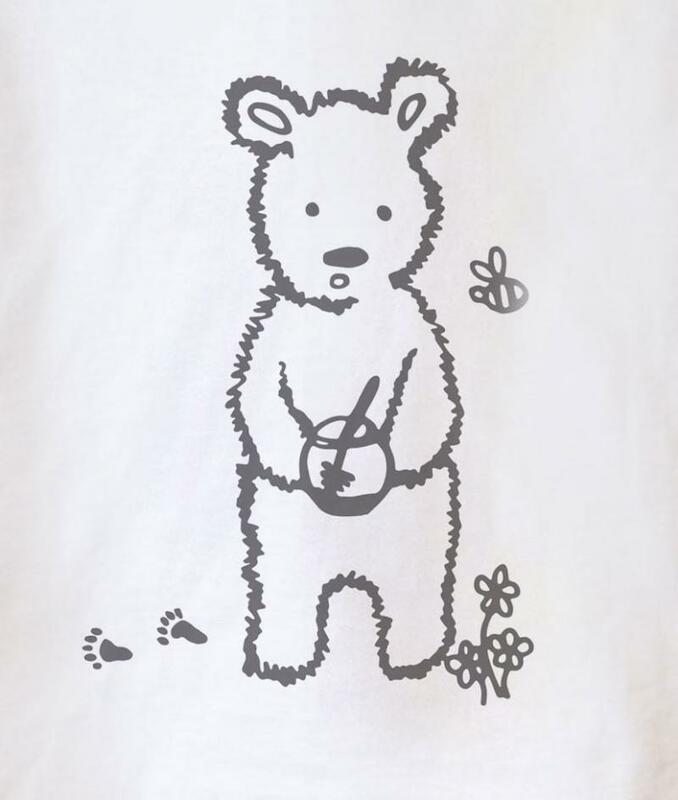 Each item has a cute and fun individual design, which tell the full tale when put together. 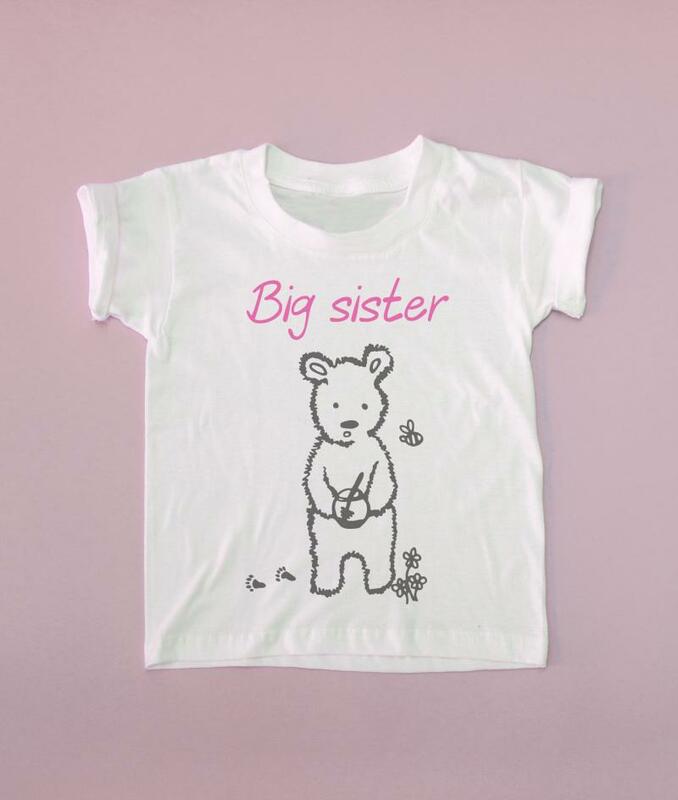 A perfect gift for a family welcoming a new baby onto the scene and to help their Big Brother or Sister feel included in the celebration! 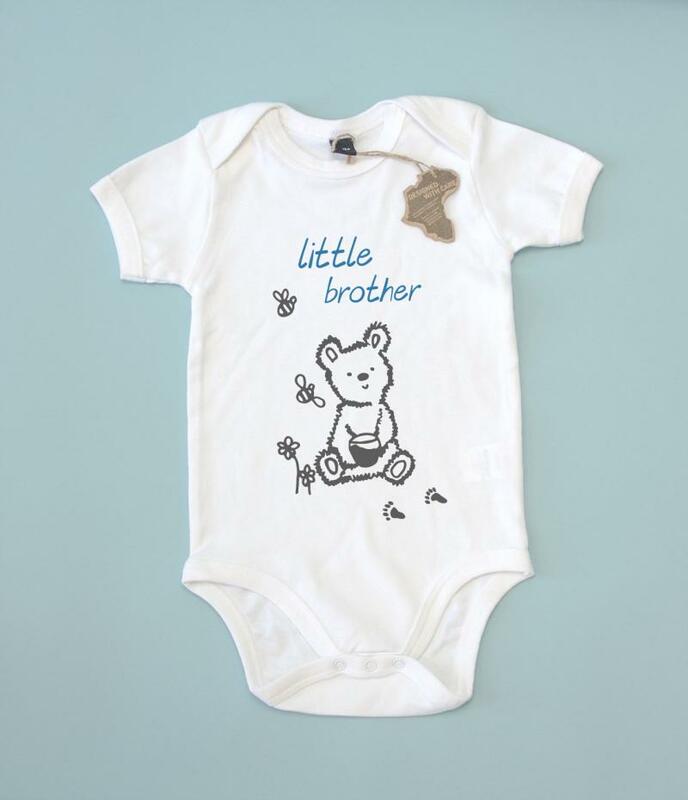 Designed by us and hand printed with baby friendly inks In-house.